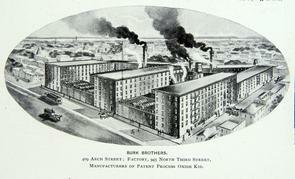 Caption: "Burk Brothers. 409 Arch Street, Factory, 948 North Third Street. Manufacturers of Patent Process Oxide Kid."